What better way to start our special year off than present our club’s favourite professional Lizzie Deignan with her Honorary Membership. 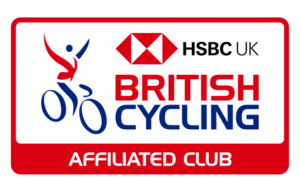 “In the club’s 90th year it seems only fitting that Lizzie Deignan is bestowed an Honorary Membership. As you all know Lizzie become our club Patron following her Silver medal at the 2012 Olympics. Since then she has gone from strength to strength, becoming one of the most respected riders in the elite women’s peloton. 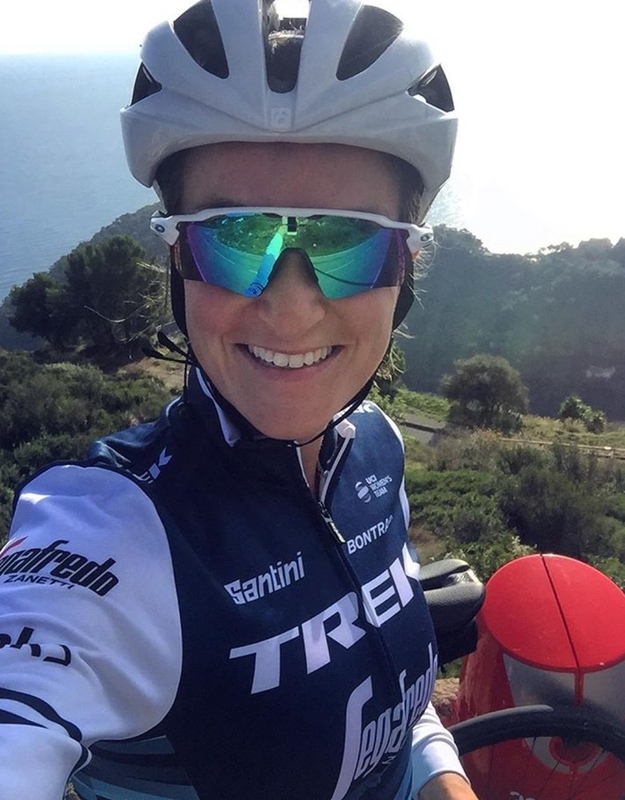 Her dream of becoming road World Champion became a reality last year, and she did the rainbow stripes proud with six race wins as world champ, including ticking a huge box with her win at Tour of Flanders. 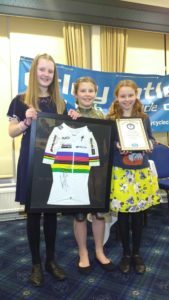 As a club we have definitely enjoyed the ‘Lizzie’ effect, with a lot of our riders now wanting to follow in her footsteps. We have seen people of all ages and abilities inspired to take up cycling, none more so than our junior members, the Flyers and Mini-Flyers. 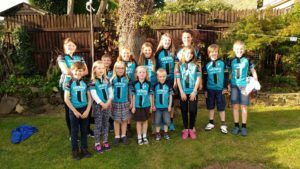 Our youngest groups are constantly growing in numbers and our club coaching has also gone from strength to strength. The juniors are very proud to show off ‘the stripes’, Lizzie generously gifted them when she took time out of her busy schedule to meet with them. Lizzie is a massive inspiration to all of us and one day looks forward to being a full-time member of her hometown club. 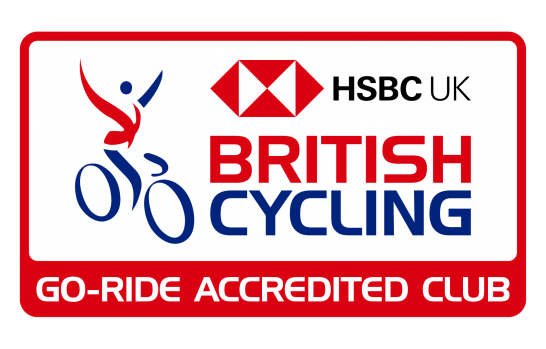 As a club we have definitely enjoyed the ‘Lizzie’ effect, with a lot of our riders now wanting to follow in her footsteps. We have seen people of all ages and abilities inspired to take up cycling, none more so than our junior members, the Flyers and Mini-Flyers. 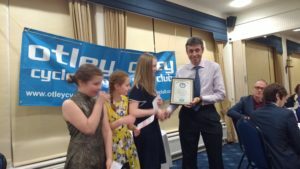 “Thank you so much for making me an honorary member of Otley Cycling Club. It’s a privilege to be bestowed a membership in this way. It’s strange to hear you talk about me as an inspiration because this club is an inspiration to me. When I was first starting out in the sport, I didn’t have a group of young riders to share my love for and excitement about cycling with. What you have created for your youngest members will serve them well not only in cycling but in life. 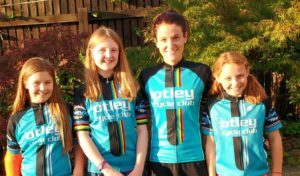 The support the Otley Cycling Club, and especially the Mini Flyers, have given me and my Boels-Dolmans teammates is incredible. We’re so appreciative of the photos and videos shared, comments made and likes and retweets. It’s even better when the relationship can extend beyond the virtual. It’s great to see so many of you out on your bikes when I’m home. Lizzie has also presented the club with a signed World Champion jersey which will be displayed proudly in the club rooms.